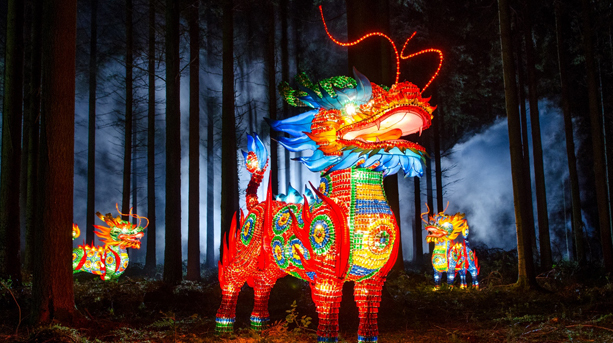 Experience the truly unique spectacle of The Festival of Light at Longleat. Hundreds of illuminated designs help to transform the world-famous Wiltshire estate into a glowing winter wonderland, on a spectacular scale. Set amid the beautiful backdrop of the landscaped grounds, gardens and lake surrounding Longleat House, this must-see festival is beaming with colour and fascinating structures creating a stunning and enchanting experience for visitors. Board the coach and depart Lincolnshire ready for your journey to Filton near Bristol where you will be staying for the next three nights. Sit back relax and enjoy the journey. Comfort stops will be taken along the way. After hearty breakfast join the driver for a fabulous full day excursion to Longleat and the Festival of light, which runs alongside Longleat's traditional Christmas celebrations. A truly amazing spectacle, set amid the beautiful back drop of the landscaped grounds, gardens and lake surrounding Longleat House, which is all magically decorated for the festive season, once inside you are transported back in time with the sweeping corridors and majestic grand rooms. Don't forget the iconic safari park with all the amazing animals with so many different characters, there is so much to see and do! Once the daylight starts to fade the hundreds of illuminated designs help to transform the world famous Wiltshire estate into a glowing winter wonderland on a spectacular scale. After Breakfast we travel to Bath for the Festive Christmas Market, the magical and award-winning Bath Christmas Market is bigger and better than ever! There are over 200 twinkling chalets spread out across the picturesque Georgian streets of Bath selling handmade and local Christmas gifts. After a well earned rest and a hearty breakfast we bid farewell and join the driver for the return journey back to Lincolnshire with a stop on the way. The Holiday Inn Briston, Filton**** The Holiday Inn Bristol-Filton is set in landscaped grounds with free wifi, it has leisure facilities, (swimming pool and a gym) with professional and friendly staff and a comfortable lounge and bar area.